When traveling to Morocco, you can choose to fly to either Casablanca or Rabat. If you fly into Casablanca, you will be asked to pay a supplement fee for your round-trip airport transfer. Wherever you arrive, a Projects Abroad staff member will be there to meet you. You will also need to obtain a visa in advance if you plan to arrive into Ghana before traveling to Lomé. It is a three hour journey from Accra to Lomé. Your induction will depend on what time your fight arrives. If you arrive in the morning, a member of staff will usually give you your induction that afternoon; if you arrive in the late afternoon or evening you will receive your induction the following morning. You'll be shown - among other important sites and landmarks - internet cafés, the post office, where to change your money, and how to get to each place from your host family. You will also be introduced to the other volunteers in Morocco who will be very excited and eager to meet the newest volunteer. You will then be taken to our office in the Agdal District of Rabat and a member of staff will go through the Morocco Handbook with you and all necessary safety and security measures. Depending on the time and your program, you may be introduced to your placement during that afternoon. If not, we will pick you up and take you the next day. Whenever it happens, you'll be taken from your host family on public transportation to give you a chance to test out the route and see the landmarks. If you are participating on a Standard Project, all necessary work-related transportation costs will be covered by Projects Abroad. All volunteers stay with host families. 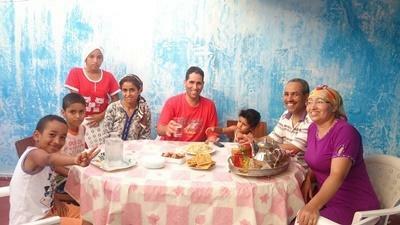 All our host families are based in the Medina district, within the huge peach walls of the old city. Most families live in the traditional riads, with inner courtyards and a maze of staircases leading you up to big, cool rooms. There is usually beautiful tiling in the public areas and cushions, which circle around the walls of the entire room. 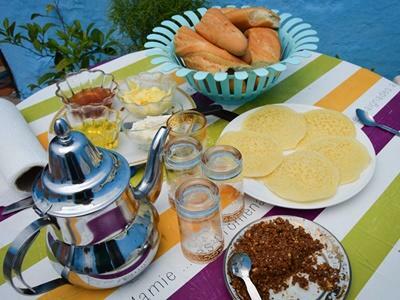 Volunteers will get an authentic Moroccan homestay experience. Our Projects Abroad office in based in the Agdal District. Agdal is a very safe area and lies just north of the center of town. It is very accessible, being on regular bus routes and is easy to find as it is just two streets away from a large mosque called Mosque Badr - a perfect landmark. The office has a bathroom, kitchen, hall and two rooms – including one for the volunteers. The volunteer room has tables and chairs and a library of over 150 teaching-aid books that can be used by our teaching and care volunteers. Morocco has the four usual seasons. Between November and March, volunteers should bring a sweater and jacket with them as it can get chilly, especially in the evenings. There is more chance of rain during the winter months. By height of the summer - July-August - temperatures can reach over 90 degrees Farenheit.